The UK’s capital has many amazing opportunities to offer, and choosing the best spots to visit is a challenge. Here are some Heathrow local attractions that you should try! If you are coming to London for a visit and are on a mission to go and explore London attractions, museums and tours, purchasing The London Pass is a must! With the pass you will gain free entry to over 80 hot spots in the capital city, plus it allows you to get Fast Track Entry to the attractions and gives you access to exclusive special offers, not available otherwise. You can also incorporate the London Travelcard into The London Pass, which will then entitle you to unlimited travel on all public transport in London. Other benefits include an excellent 160+ page guidebook packed with hints and amazing places not to miss in London. Sound good? A full list of prices are available on their website to help you plan your trip! Looking for a cheaper, more flexible way to see the wonders that London has to offer? We’ve got just the ticket. Why not opt for The London Explorer Pass? It gives you access to the Top 20 London attractions, allows you to chose 3, 5 or 7 of the 20 attractions to visit and is valid for 30 days from its first use. Phew! Enjoy entry to the likes of Chelsea FC Stadium Tour & Museum, Royal Observatory Greenwich, Shakespeare’s Globe Exhibition & Theatre Tour, London Dungeon and Hampton Court Palace. Fot a full list of attractions and prices, head over to The London Explorer Pass. The London Eye has quickly become one of the most iconic attractions within the London City area. Standing as high as the massively impressive 135 meters, the London Eye is visible from almost the whole city and is also registered as the world’s largest cantilevered observation wheel. When first erected it was the largest Ferris Wheel in the world but has since been surpassed by the Star of Nanchang as well as more recently the Singapore Flyer. The London Eye was initially named the Millennium Wheel as it was first publicly launched in the year 2000. There’s a large choice of packages and extra-special experiences to choose from when looking to ride the wheel, such as; private capsules with dining, champagne or Hotel Chocolat tasting experiences whilst you view London from your ride. Located within the Greater London area, Thorpe Park is one of England’s busiest theme parks with tonnes of attractions for adults and children of all ages. Home to many of Europe’s and the World’s most exciting rollercoasters such as; Nemesis Inferno, Stealth, Saw, Colossus and Swarm. Thorpe Park is in Europe’s Top 10 list of most popular theme parks. The Tower of London is another worldwide famous attraction in London with great historic significance as well as being the home to the collection of stunning royal treasures, more commonly known as The Crown Jewels. The Tower of London is located on the north bank of the River Thames. It isn’t a tower as such, but a castle instead and is officially named Her Majesty’s Royal Palace and Fortress. Known as a place of imprisonment, torture and death throughout previous centuries the Tower of London has an abundance of interesting stories and has played many roles during England’s exciting history. The castle itself has been sieged on multiple occasions and over the many years has been used for a number of other, often unknown, purposes like; royal residence, treasury, menagerie, armoury, the royal mint and in more recent times has become a popular tourist attraction within London. At LEGOLAND, creativity meets fun! Discover kid-centric rides, cool building challenges, a unique mix of interactive attractions,exhilarating roller coasters, shows that pull the audience into the action and lots more. It’s a land of surprise around every colourful corner, lively music, both whimsical and astonishingly accurate LEGO brick models and a chance to let everyone’s imagination run wild. LEGOLAND puts the fun in family trips with something geared towards every family member. The London Dungeons provide a very memorable experience. With live actors adding to the excitement throughout the day you’ll be lucky to escape without a bloodied sense of enjoyment. Madame Tussaud’s workshop is widely known for the massive gallery of life-like wax sculptures and is one of London’s most famous and iconic attractions. Home to more than 750 different species of animals, featuring thousands of unique individual creatures within these collections, London Zoo is great fun for all the family. London Zoo is located along the northern side of Regent’s Park and was opened way back in 1828. It is officially the world’s oldest zoological park or garden. Their most popular exhibits include; Tigers, Lions, Gorillas, Penguins, Hippos, and of course many, many more. These animals are all homed in their own unique habitat designed specifically for their needs. The whole experience is beautiful and educational! Warwick Castle is probably Britain’s most exciting castle to visit for tourism reasons as they host and entertain a wide range of events, battle displays and shows throughout the year. Warwick Castle dates back as far as medieval times and was developed from an original built in 1068 by William the Conqueror. Many additions have been made over the years; expansions, re-fortifications are often made by notable historic figures. There are often visitors and guests to the Castle for activities throughout the year, so it’s worth checking online to see what’s on to make the most out of your visit to Warwick Castle. Golden Tours offer a wide range of exciting tour packages in and around London. Popular tours include; The Walking Beatles Street Tour, and Warner Bros – The Making of Harry Potter Tour. Another very popular package is ‘The Total London Experience’ which offers a very exciting agenda, including; Entry to St. Paul’s Cathedral (Quire included) and the Tower of London. It also includes tickets for the London Eye experience as well as a boat ride up the Thames. This Tour provides a free pick up service from many Central London hotels. Explore the best experiences in London and the UK. London Sealife Aquarium has many interesting sea animals on display throughout a variety of rooms and galleries. Ascot Racecourse, founded in 1711 is one of the world’s most famous racecourses. Ascot stages 25 days of racing throughout the year – 16 flat meetings between the months of May and October and 9 National Hunt meetings between November and April. Undoubtedly the most famous of these is the June Royal Meeting, where top class racing is combined with tradition, pageantry and style. Ascot Racecourse welcomes some 500,000 race goers through the gates each year and continues to offer unbeatable racing action. Eton College was founded in 1440 by King Henry VI. The College originally had 70 King’s Scholars or Colleges who lived in the College and were educated free of charge, and a small number of Ophidians who lived in the town of Eton and paid for their education. Today it is a secondary school for approximately 1,290 boys between the ages of 13 and 18, all of whom are admitted by competitive examination, and has become one of the most exclusive schools in the world. Founded in 1955, The Guards Polo Club is now the largest polo club in Europe, in terms of membership and number of grounds. There are currently about 1,000 non-playing members and about 160 playing members, among whom are some of the highest rated players in the world. Polo matches are played on most weekends throughout the summer at Smith’s Lawn in Windsor Great Park. The Cartier International match at the end of July is the highlight of the season. Windsor Castle is an official residence of The Queen and the largest occupied castle in the world. The State Apartments, extensive suites of rooms at the heart of the working palace are open to visitors. For part of the year visitors can also see the Semi State rooms. There are many additional attractions within the Castle complex, including the Drawings Gallery, Queen Mary’s dolls’ house, and St. George’s Chapel. Below you can see how far away all of the attractions above are from Heathrow Airport and their approximate journey times. Please note that journey times may vary due to traffic or roadworks, particularly in the London area. We would only recommend visiting these attractions if you have plenty of spare time and would not recommend visiting them shortly before a flight as travel disruption could affect your flight and even result in you missing your flight. Discount London offer a wide range of tickets at for London based attractions and events. Discount London provides access to massively discounted rates on many different packages as well as great prices on single admissions! For a complete overview of what’s currently available check out the Discount London website. Other popular offers include; Theatre and Musical tickets, Sightseeing Tours and cheap Eurostar trips. Alternative options are also available, like; NYE Parties, Stag and Hen Dos, Dining and Drinking experiences and Cruises on the River Thames. Tickets for some of London’s events, attractions and experiences can also be gifted through Discount London’s London Gift Ideas. Attractiontix provide access to the biggest and best attractions all around the world! There is a great selection of London attractions available through their program, such as; The London Eye, London Sealife Aquarium, Thorpe Park, Chessington World of Adventures, Legoland Windsor and much, much more. Aside from the regular attractions and theme parks Attractiontix can also offer a number of unique opportunities for those more interested in historic characters, buildings and events. The Shakespeare Country and Warwick Castle Tours for example are extremely enjoyable and interesting to the right audience. With such a broad range of products available there is sure to be something exciting for everyone! This link will display what’s currently available within the London area. London is the home to many famous, historic and entertaining attractions. 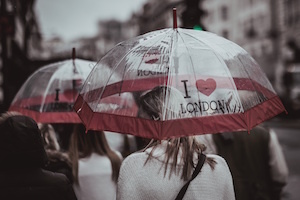 The London Dungeons, London Zoo, Madame Tussauds, London Eye, Tower Bridge and the Royal Opera House are just a few of the famous attractions that London has to offer it’s visitors. Within the surrounding London areas there are loads of exciting attractions and places of interest as well. Thorpe Park for example is located inside the greater London area and is probably England’s best theme park. If not considered the best by some, it is at least the most popular amusement park in England and is a stone’s throw out of the city. There are many other options just outside of London as well, like; Chessington Zoo and Legoland which are particularly popular for the younger families. Also on the outskirts of London are other tourist attractions such as Windsor Castle which is in fact just up the road from London’s Heathrow Airport. Tourism in London is such good fun as there is an abundance of options at your disposal. You could spend months in London and never get bored, no matter what your preferences or interests are there is a wide choice of suited entertainment within London.Taking advantage of the various deals and offers is a good way to enjoy yourself in the city without spending too much. There’s a lot of discounted entry deals available for single or multi-pass admissions to various fun and exciting activities in and around London. We’ve tried to create a general overview finding deals for some of most popular family attractions within the London area. As you can find many amusement parks for all ages, museums, historic locations and famous theatres such as the Royal Opera House there are a lot of options that may not be for everyone, but with so much going on London is a great city for entertainment.You can even get free admission to some of the best attractions within the city as most major museums in London are free!There’s a lot of choice for what to do in London and there are many different deals and packages available for multiple attractions or an additional experiences for a specific event, such as; front row seats or fast track the queues. We’ve included a summary of the best attractions and activities that we could find for the London area and we hope it helps you enjoy yourself in the City. Not going further than Heathrow? If you are pressed for time and would only be able to explore the area close to Heathrow airport, do not despair! You can do a bit of shopping at The Centre, Feltham.